On Tuesday of this week 32 of us met in a boardroom in Kensington and listened to two interesting and experienced speakers; Raphael M Düa on “Head in the Sand” and Mike Testro on Facts v Theory - Delay Analysis that works. I think it is fair to say that everyone found it an extremely useful and enjoyable evening. We are arranging the next one for mid March so if you wish to do a presentation (on anything) do get in touch with james.williams@planningplanet.com for a discussion. As technology changes and planning and working with teams without any physical contact becomes more common, the entire dynamic of the workplace across many industries is changing irrevocably. This is having an increasingly large impact on how managers deal with, oversee and get the most out of their teams. What if–two years from now–you find your project is behind schedule or over budget? People will ask, “Why? How did we get here?”. This is why the Golden Thread of change management is so crucial. Download our white paper to learn about the importance of the Golden Thread, the five factors of a successful implementation, and 5 major benefits of utilizing a powerful change management process. Message from Method123... The Planning Phase of any project is one of the most critical phases. It is where assumptions and estimates are made about what needs to be done, who will do it, and how long it will take. Dependencies and risk are factored into the development of the plan. With greater certainty we are able to develop a realistic plan. Conversely, with more uncertainty the less realistic the plan will be. But, how much time, energy and money should we put into the planning phase? At what point do we achieve diminishing returns? At what point must we admit that we are at such a level of uncertainty that we cannot make realistic estimates. 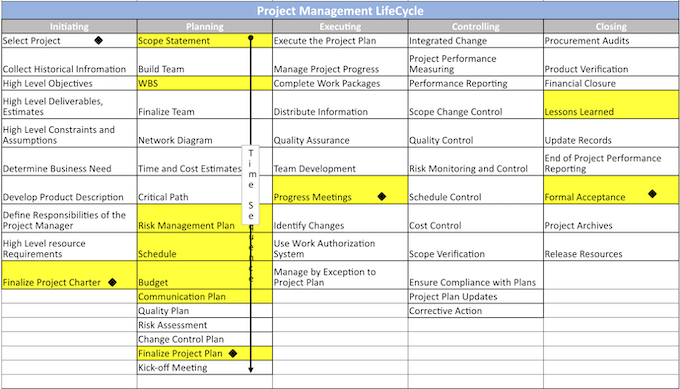 Looking at the Project Management Lifecycle chart below (click to download) we see that the planning phase certainly contains a lot of activities and deliverables. The key defining activity that will give the best guidance to how much planning should be done up front is the WBS. This approach is a bit agile-like because our goal is to deliver something useful more quickly and we acknowledge that the process will be somewhat iterative. While there is not bullet-proof metric to guide us on how much of a project needs to be fully planned before starting we would be comfortable having a solid plan for 25% of a projects duration. Thus, if we suspect a project is going to take 2 years to complete -- having the first 6 months planned out in detail should make us confident that we can begin the work. It is important to understand, acknowledge and communicate to stakeholder that things will likely change! They always do. Our job is not to prevent change, but to adapt to it and deliver successful projects in an environment of constant change. To help you plan better consider using the industries best template and project management methodology tools used by over 2 Million professionals since 2001. If you are a prospective EMPLOYER with VACANCIES you’d like to fill or a PROJECT CONTROLS PRACTITIONER ready to take on the challenge of a NEW ROLE then please GET IN TOUCH for an initial discussion so we can demonstrate to you how we can help where others cannot. 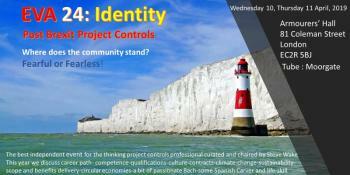 What Project Controls conferences have you attended? Was it the best because it created a positive impact on you? A recent Tweet that went viral from a young job seeker is reviving the debate around the use of so-called "stress interviews" that seek to destabilize candidates by making them feel uncomfortable. Managers use the technique, such as asking impossible or bizarre questions, to see if the job seeker is able to handle pressure and unknown situations. Experts are divided as to their effectiveness; some say it can sometimes backfire with the employer losing an otherwise strong candidate. WHAT ARE THE BIGGEST TRENDS LIKELY TO IMPACT RISK MANAGEMENT TEAMS IN 2019? Here are some thoughts on how the current world events will affect risk management in the coming year. It also looks to explore some of the biggest trends that risk management professionals should keep in mind for 2019. ScheduleReader™ offers a more sophisticated way to view and communicate schedule data extracted from .xer, .xml and .xls files. It dynamically presents well formatted and visually understandable schedule information that you can easily organize, filter, group and share with project Teams, contractors and stakeholders. Have you ever wondered how the advancements on technology and other megatrends will impact the future of project planning & scheduling workforce? Check this post to learn how you can design your career pathways to suit the job market of the future. 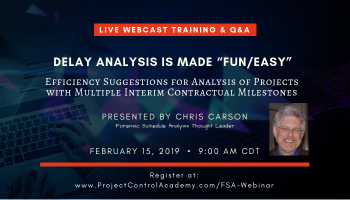 An invitation to a free live training webcast by Guild of Project Controls Fellow Chris Carson on "Delay Analysis is Made Easy". This is the first of a series of complimentary Forensic Schedule Analysis live webinars that will address some of the very good questions. We see these as a way to provide more insight into a number of excellent forensic analysis topics. As scope increases chaos can creep in—this is especially true when you are juggling many moving parts and shifting priorities. So how can you keep project chaos from ruining your day. Clarizen streamlines and automates. Laptops and phones have become virtually omnipresent in most professional spheres and it has become the norm for staff to take either one or both into meetings with them in case they have a need to use them. A growing movement has begun however that seeks to ban the use of these in meetings. 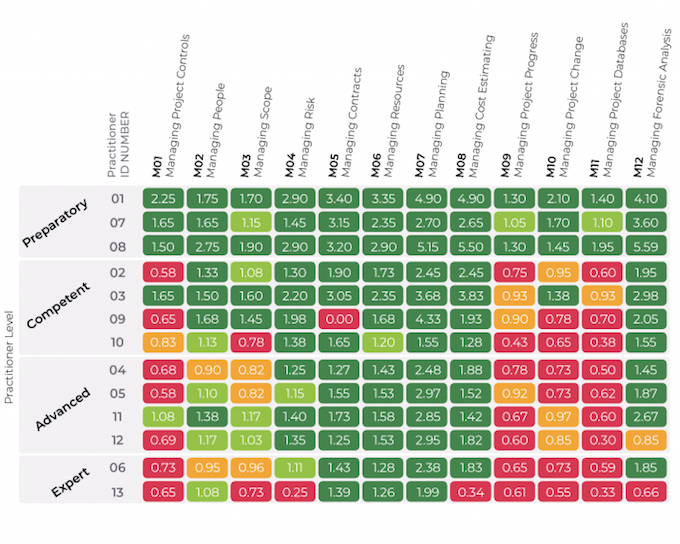 A superior alternative to the "most popular" software for us as planners? Today it is used in 34 countries though most Spider Project customers are in Russia. Join ARES PRISM for a complimentary project management seminar and happy hour on February 26th. Network with other industry professionals and gain insight into what best-in-class organizations are doing to deliver their projects on-time and within budget. Limited seating is available, so be certain to register now to reserve your space! Every month, people spend an average of 31 hours in unproductive meetings. Honesty is essential when rating meeting productivity but who doesn’t want to give themselves top marks? The following are a few ways to stay on track and hold effective meetings that will get you closer to a 10/10.